Loksatta Party today celebrated its first birthday in the state with an informal meeting of members and supporters, to discuss the progress made during the last year and to make plans for the future. Party members expressed satisfaction at the milestones for growth achieved during the year, and were optimistic about the next steps. In one year since the founding of Loksatta Karnataka, the party put up a few candidates in the BBMP election, and in the process established itself as the dominant voice for good governance and anti-corruption politics in the city. Voters throughout the city were appreciative of the sensible and honest positions taken by Loksatta candidates. The media was also clearly much more appreciative of the party candidates, who (despite being only a few in number) were showcased as the leaders of the future in forum after forum. And all of this was achieved well within the legal election spending limits, proving that honest candidates can seek public office. 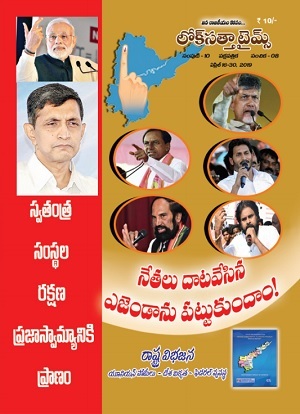 Party members were not unduly worried about the limited support Loksatta candidates received in the elections. For a party that had existed only a few months in the state, even to be able to garner 7 per cent of the vote in the wards it contested was a significant achievement, they agreed. Moreover, the momentum from the election continued afterward too, with the party emerging as the clear voice of the "empower Lokayukta" campaign to support Justice Santosh Hegde's stand against corruption in government. 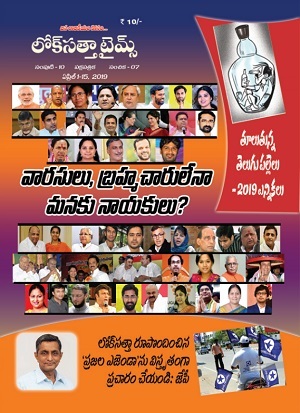 A lot of citizens realised at the time of the fracas over the Justice's threatened resignation that Loksatta is the only party that has consistently supported empowering the Lokayukta. Looking ahead, party members expressed confidence that during the coming elections to municipal corporations and councils elsewhere in Karnataka (during 2011-12), the party would put up candidates with similar stellar records to those it fielded in the BBMP elections. The groundwork for this is already underway, said a party spokesman, expressing confidence that in election after election, henceforth, the number and proportion of Loksatta candidates would grow. During the BBMP elections, he recalled, many voters called us to ask, "why is there not a Loksatta candidate in my ward? ", said senior party leader N S Ramakanth. Our answer, then and now, is the same - "Loksatta will bring good governance to your ward soon. With your support, this can happen even quicker than it would otherwise. The tide is turning, and we will one day get cleaner, smarter politics. That day will arrive sooner if more people join to seek it."